October 29, 2018  The Red Sox closed the series game 5-1 on the Dodgers' home turf Sunday. 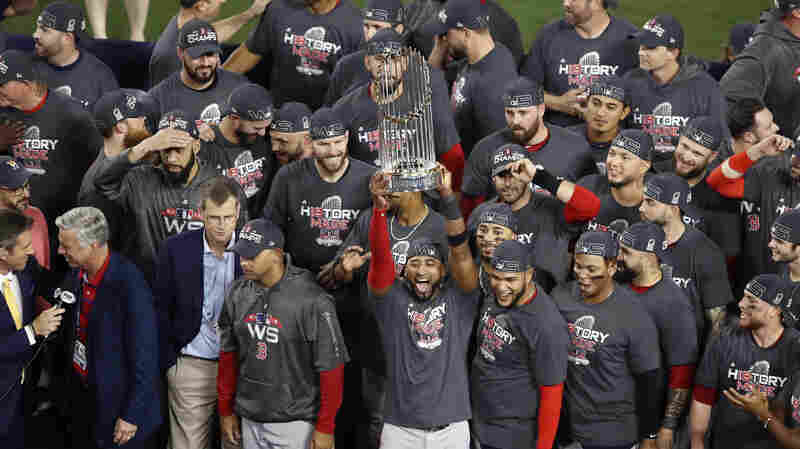 A leadoff home run from Steve Pearce and strong pitching from David Price helped Boston land their fourth title in 15 years. 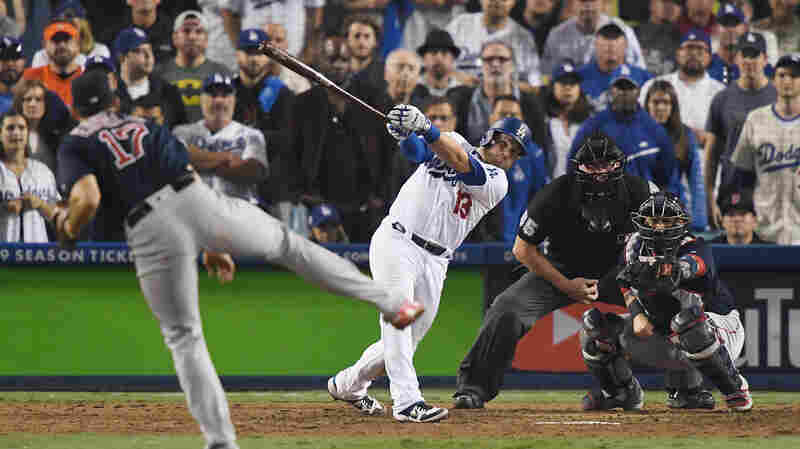 October 26, 2018  Dodgers starter Walker Buehler threw seven powerful innings, but Boston outfielder Jackie Bradley Jr.'s solo home run matched Los Angeles' meager production. It took 10 more innings to break the tie. October 24, 2018  Again, going to the bullpen in the fifth inning turns a close game for the Dodgers into a two-run Red Sox lead, and Boston's pitchers retire the final 16 Los Angeles batters for a 4-2 win in Game 2. 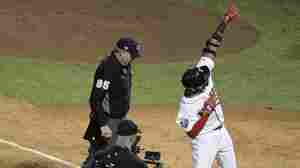 October 23, 2018  Red Sox outfielder Andrew Benintendi got whatever he wanted Tuesday night, going 4-5, and pinch-hitter Eduardo Núñez cracked a three-run home run in the seventh inning, putting the Dodgers away. 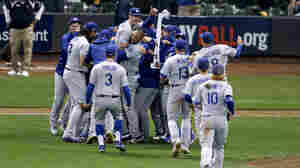 October 21, 2018  Los Angeles held off Milwaukee 5-1 in Game 7 of the National League Championship Series. 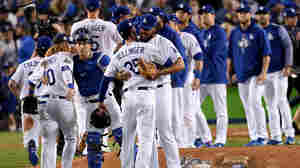 The Dodgers will go to the World Series for the second year in a row, this time facing the Boston Red Sox. November 1, 2017  The Astros defeated the Dodgers 5-1 in Game 7 at Dodger Stadium. October 31, 2017  Houston missed a chance to nail down the franchise's first Series title. The teams meet for the deciding game Wednesday night in LA. October 24, 2017  Los Angeles went ahead on a two-run home run in the sixth and held on to take the lead in the best-of-seven series. 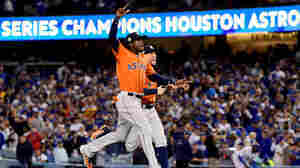 October 19, 2017  LA took the best-of-seven series four games to one and will play the winner of the American League Championship Series between the New York Yankees and the Houston Astros. October 23, 2015  Rep. Adam Schiff, D-Calif., lost a bet with New York Democrat Steve Israel when the Mets defeated the Dodgers in the Major League Baseball playoffs. The result is pretty amazin'. 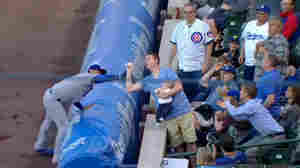 June 24, 2015  Cubs fan Keith Hartley got a round of applause for focusing on making the catch — and not disturbing his infant son Isaac, who kept enjoying his bottle while his dad lunged over the rain tarp. October 8, 2014  The St. Louis Cardinals beat the LA Dodgers 3-2 Tuesday. 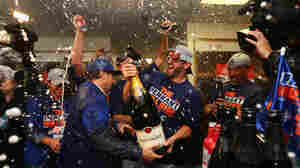 The San Francisco Giants defeated the Washington Nations 3-2. 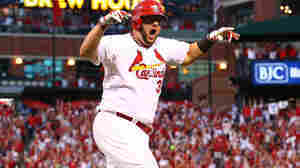 The Cardinals and Giants will meet in the National League Championship Series. 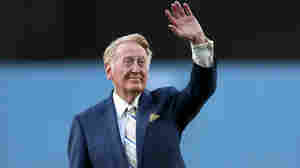 August 23, 2013  Broadcaster Vin Scully has been the voice of the Los Angeles Dodgers for longer than the Dodgers have been in California. 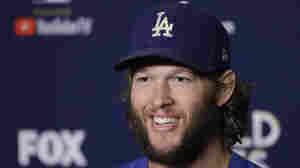 And he'll return for his 65th season next year, the team said Friday, extending a streak that includes 25 World Series and the Brooklyn Dodgers' lone title, from 1955.